Hacking is one of the great pleasures of horse ownership, however it can also be one of the more fraught challenges facing us. As always, though, there are steps we can take to help us to enjoy hacking and transform it from a source of stress to a source of pleasure. Here we talk through some of the things that can help. First begin on the ground, the relationship that you and your horse have on the ground, sets the tone for your ridden relationship. By leading your horse on a hack, you will discover where the areas of problem are and will be able to work on those areas from the ground. Once you have established a good ground connection you will be able to transfer that to your ridden work. Spookiness can be pain related, so it is always worth getting your horse checked for any areas of discomfort if he is spooky, before moving onto training him. Once you are confident that your horse is comfortable in his body, and that his saddle and bridle are well fitted, then you can begin spook busting, safe in knowledge that the spookiness is not pain related. Build confidence gradually, and solidly, making sure that you happy in different locations before moving onto another. For example, starting in the arena riding past obstacles, then transferring your obstacles to a field, then maybe to a track. Consider your response to the spook. Sometimes we see people patting the horse whilst it is spooking, the logic is to try and relax the horse, however the horse could interpret this a being rewarded for spooking. A better response would be to praise the horse once it has stopped spooking. It might help to get a more experienced rider to teach your horse not to spook, as our own reactions can influence the horse’s behaviour. Sadly, the roads today are not as quiet as they once were, and drivers still lack education about horses on the roads. Whilst we cannot change the behaviour of others, we can do our very best to make sure that we are as prepared as possible before we venture onto the roads. This includes choosing the time that you hack out, early Sunday mornings are ideal! As well as using a solid bombproof horse as a companion if possible. Preparation lies not only in the work you do with your horse, but also in your equipment. Ensure that you have a well-fitting hat, and body protector if you wish and suitable footwear. There are some very good rider systems that alert people should you have an accident. At the very least it is advisable to tell someone roughly where you are going and how long you will be, so that should the worse happen, help will be on its way. 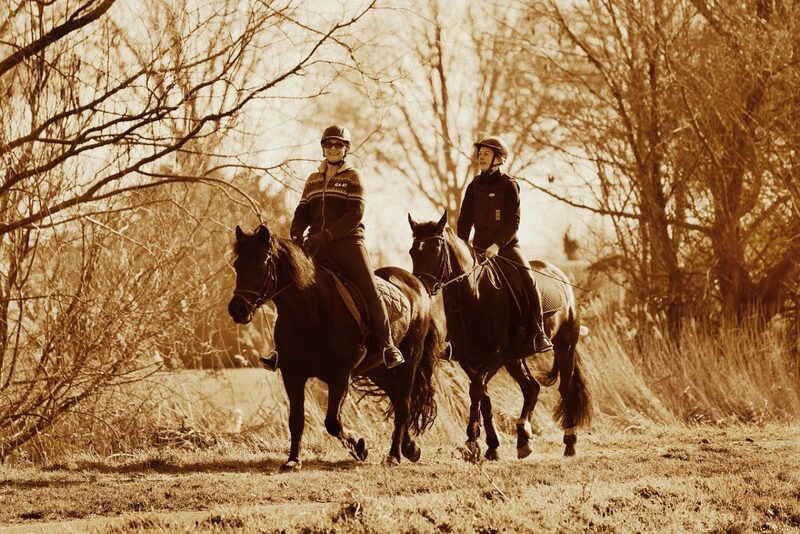 Hopefully, by spending some time working with your horse, you can enjoy your time out hacking.